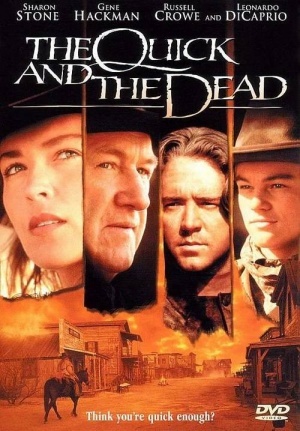 The Quick and the Dead – Did You See That One? 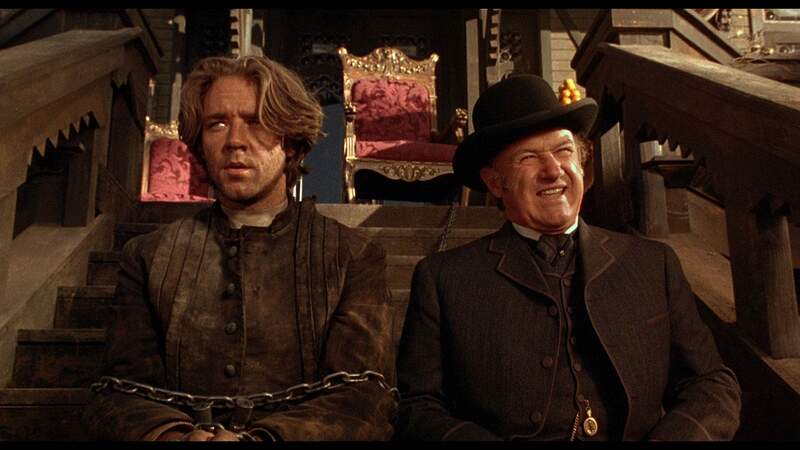 In a town run by a ruthless gunman (Hackman), a gunfighter’s tournament has begun. The cash prize has brought in a number of unique characters, willing to risk their lives for the payday. Others have come for different reasons, including the mysterious Ellen (Stone) who’s out for revenge. There’s also the Kid (DiCaprio), who’s looking to earn the respect of one man. Finally, there’s Cort (Crowe), the unwilling participant in this dangerous game. As the bullets fly, these gunfighters will need to be faster than their opponents to survive. 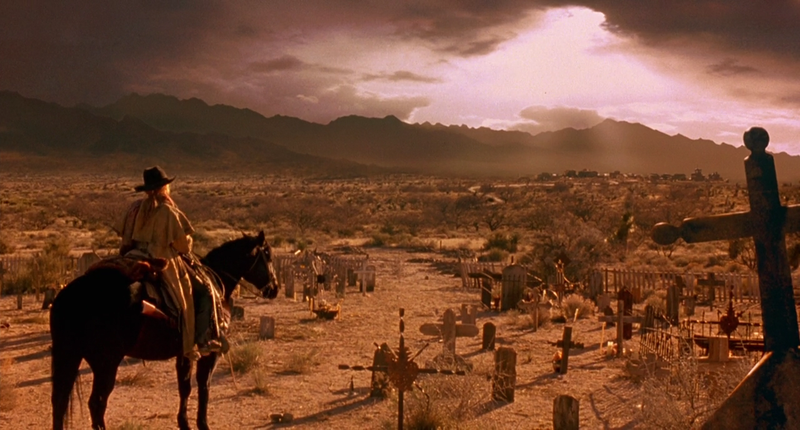 The Quick and the Dead is a uniquely styled Western directed by the always interesting Sam Raimi (Army of Darkness). The screenplay was written by Emmy-nominated screenwriter, Simon Moore (Traffic). The film has a core cast that includes Sharon Stone (Casino), Gene Hackman (Unforgiven), Leonardo DiCaprio (What’s Eating Gilbert Grape), and Russell Crowe (Les Misérables). The story written for this film is a classic Western, based on revenge and protection of the innocents. 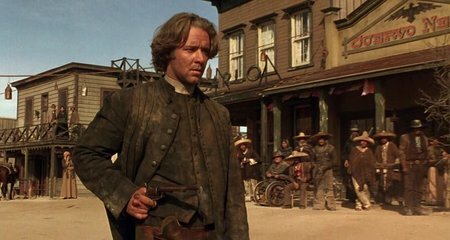 The movie makes frequent use of the popular Western cliches, but somehow remains very interesting and unique. The dialogue also seems to work because nothing seems to be frivolous or out of place. Every character is nicely highlighted by their own set of rules, and the conflicts between them are revealed in pieces. The slow revelation of the background adds to the story and the nice pacing of the film. Unfortunately, the story isn’t going to surprise anyone. The revelations are nicely done, but are also very predictable because the story is overly simple. The acting in this movie is really good, especially from the four actors named above. 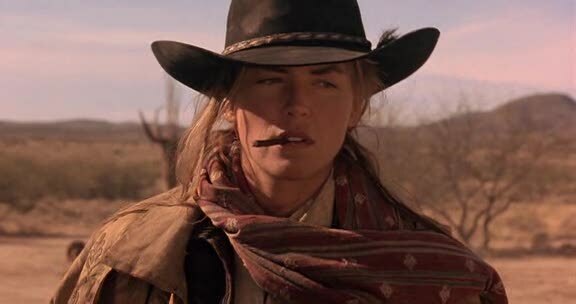 Sharon Stone gives a great performance, leading the way throughout most of this film. Gene Hackman also delivers, once again making himself one of the best bad guys in Westerns. 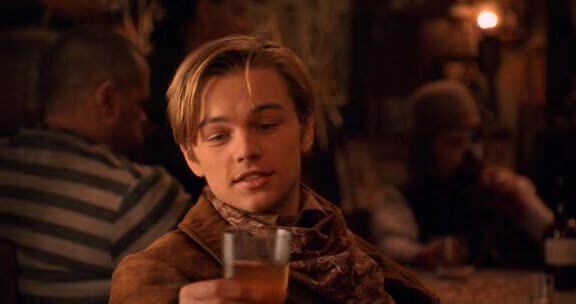 Leonardo DiCaprio had been in two major films prior to this movie, but he plays like a seasoned veteran, even against performances from Stone and Hackman. Finally, Russell Crowe was not yet the major star from Gladiator but he really works himself nicely into the cast of this film. Interestingly, Sharon Stone fought with the studio over the casting of Crowe and DiCaprio, ultimately paying DiCaprio’s salary herself to ensure that he stayed on the film. The movie also features the final motion picture performance of Woody Strode. The movie was released after his death in December of 1994. It seems fitting that he would finish his career with a Western since he had been a major part of films like The Man Who Shot Liberty Valance and Once Upon a Time in the West. The movie was beautifully filmed by cinematographer Dante Spinotti (The Insider). His work brings the film a unique feel that almost seems mystical or spiritual at times. An end-of-the-world sensibility can be felt through the camera work done throughout the movie. Adding to the unique feel of this film was the production design work done by Patrizia von Brandenstein (Amadeus). Combined with the cinematography, the sets and other visual aspects of the movie come together to create a cohesive visual structure. This also extends to the costuming and props, which include guns that were selected perfectly to fit the time the film is set in. This movie is an interesting interpretation of the classic Western by a director with a unique sense of style. It’s strange to see this kind of work from the guy who did For Love of the Game. Unfortunately, the story seems to fall a bit short of the other aspects of the film. I think this works well despite those flaws. For fans of Westerns, this has a straightforward story with a wild visual delivery. This also has a lot for fans of action and revenge movies. I would also recommend this to fans of any of the stars since it offers a unique look at their skill within a different setting than most of them are known for. I give this one 4 out of 5 stars. I love this movie and can watch it any time of day, any day of the week, even if I saw it yesterday. It definitely has some repeat value to it. Thanks for reading!